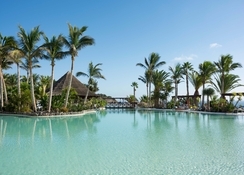 Families and couples will find everything on tap at the Hotel Club Jandia Princess, in the south of Fuerteventura. Located on the idyllic beachfront of Playa Esquinzo, its 512 spacious rooms overlook lush gardens and six freshwater pools. The resort has a luxurious edge, as it is only a few steps away from the gorgeous beach. The impressive entrance, reception and foyer sets the scene for this contemporary hotel. 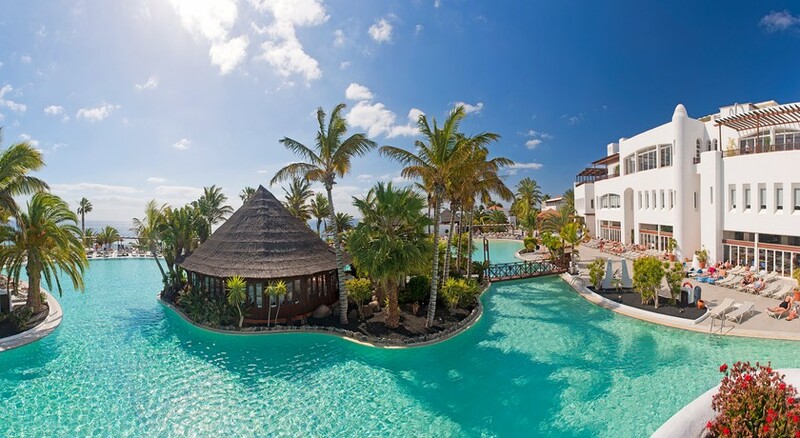 Hotel Club Jandia Princess is located on the southwestern tip of Fuerteventura, with a beautiful backdrop of the Pico de la Zarza Mountains, and an endless expanse of white sands. Jandia town has now merged with the quaint neighbouring town of Morro Jable, which has a picturesque harbour, with several restaurants and nightspots. To explore more, take a ferry from Fuerteventura at Fuerteventura Sailing Trips, which is only 5.8 km from the hotel. If your next destination is Lanzarote, you can also take a boat from Fuerteventura to Lanzarote. The Fuerteventura International Airport is about 78 km away from the Jandia Princess. 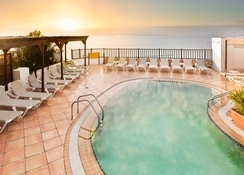 Jandia Princess has 512 rooms that come with balconies or terraces offering wonderful sea views. Pick from categories such as twin room, sea view twin, deluxe twin and family suites that include a private garden. In the adults-only area, you can choose from twin rooms and double rooms or a more luxurious suite with a sea view. All the rooms come with a bathroom, shower/bathtub, shower gel, soap, shampoo, hairdryer and much more. Other than this, they have air conditioning, sofa bed, chair & desk, mini fridge, Wi-Fi (Chargeable), daily room cleaning and towel exchange upon request. Enjoy Mediterranean-style buffet meals with the family on the sun terrace or indoors, besides snacking on pizzas, burgers and sandwiches. 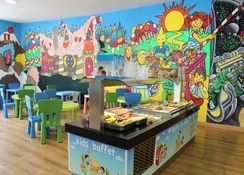 In the evenings, the restaurant serves a la carte meals to guests staying in the adults-only section. There is also delicious Spanish cuisine on offer at the El Lagar restaurant; live shows and darts at the Betancuria sports bar, and live music at El Palmeral bar which also offers stunning views from its terrace. Visit the Bar Coco Loco for a round of cocktails and karaoke filled evenings. Additionally, there is an adults-only Bar Chill Out that offers cocktails and juices. 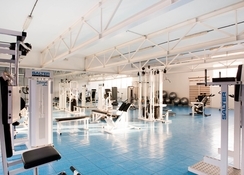 Play water polo, beach volleyball, enjoy Pilates and learn archery during your stay at Club Jandia Princess. There are four tennis courts as well, besides a petting farm, where the children can be introduced to the rural life. You can also be entertained at the sports bar, equipped with pool tables and dart board. Evenings are meant for karaoke nights, flamenco dancers, live DJ nights and West End-style musicals. The Club Jandia Princess Hotel also has a mini disco for kids. The zen-area features a sauna, with steps that lead directly to the beach.